One year from the Mainnet launch, we’re getting the community back together in San Francisco for the second annual BP Summit. It’s amazing to look back at how far we’ve come since last year’s TULIP conference. The environment has changed entirely. Following the excitement and anticipation of a brand new blockchain at last year’s event, this year presents an opportunity to celebrate our progress together and reflect on how the ecosystem will continue to mature into the future. 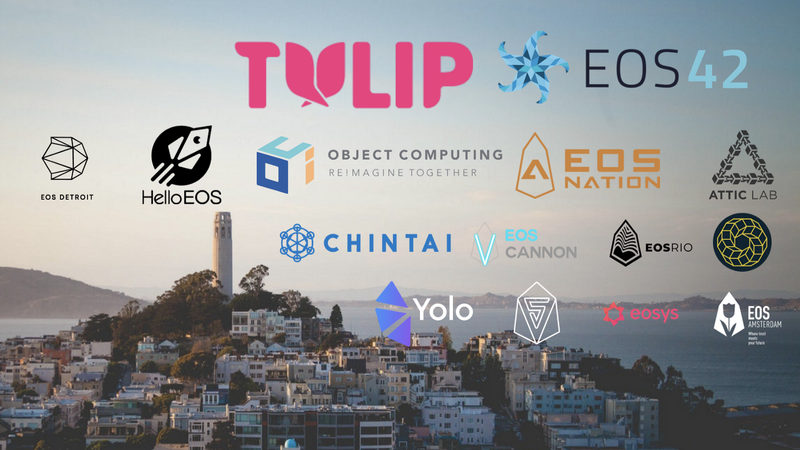 EOS Nation is proud to sponsor and participate in what is sure to be a gathering of some of the greatest leaders on the cutting edge of decentralized technology. It will be an intimate environment for developers, business leaders, token holders, and block producers from East to West to collaborate and identify opportunities to accelerate each of our paths forward in a common direction. The program team spans the globe and has intimate experience within the EOS ecosystem. It includes members from EOS 42, EOS Detroit, HelloEOS, EOS Tribe, TULIP, and EOS Nation. They’ve made it a priority to overcome cultural barriers and encourage productivity. They’re building a program flexible enough to harness maximum creative potential, while providing enough structure to encourage progress. EOS Nation co-founder and COO, Daniel Keyes, will be there looking for opportunities to synergize and socialize with as many members of the community as he can. We hope that you’ll join him! Since announcing the event, there has already been a large number of registered participants. Make sure you register before spaces run out. Want to Sponsor the Block Producer Summit? More questions? Space is limited. Make sure you don’t miss out on this distinguished annual event. Register while spots are still available.